When I die, I want to be buried in this dress. I know that I often use this blog as an excuse to write love letters to my favorite articles of clothing, but this...this is my absolute favorite thing I own at the moment and I don't think I necessarily need to explain why. 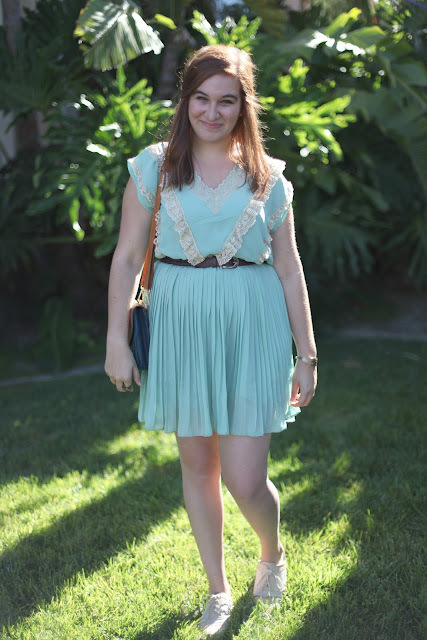 I should confess something: I check Modcloth every day. I'm not exaggerating. I look through the new arrivals every. single. day. It's a bit pathetic, especially considering how little I actually purchase anything. However, when this dress was marked down to $24 (from at least $80 or $90, I don't remember), I couldn't resist. I didn't notice that my belt wasn't lined up when these photos were being taken, but I think the beauty of the dress still gets across. Also, if anyone is interested, I have a ridiculous amount of clothes in my room that I need to get rid of. I have a bunch of stuff on Ebay, and I'll be adding more throughout the day. 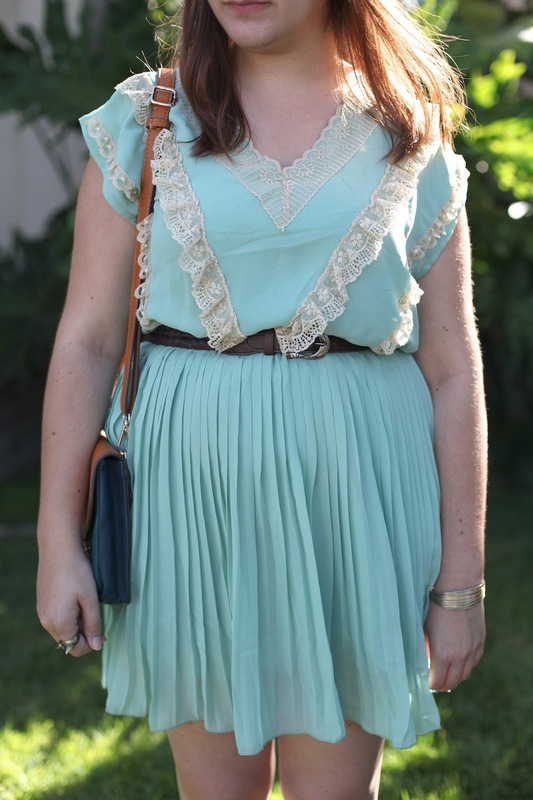 I also have this amazing 1950's dress on Etsy to get rid of too. Take a look if you're interested! Such a beautiful dress! 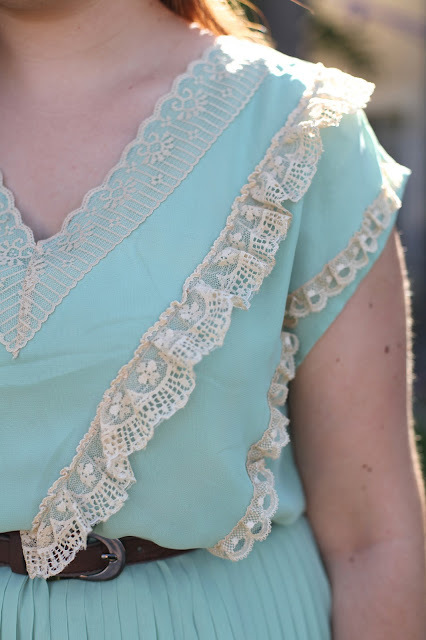 I love the color and the lace detail is so perfect! That dress is lovely and the color suits you! 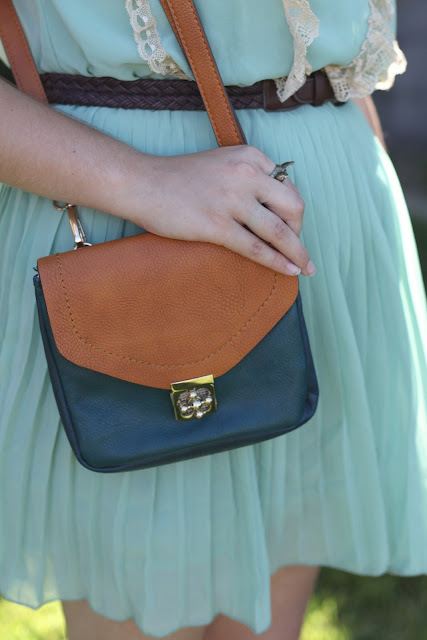 I check Modcloth everyday too, I love perusing the new merchandise AND the cute names they give to everything! i LOVE that dress! I seriously just fell in love with it. 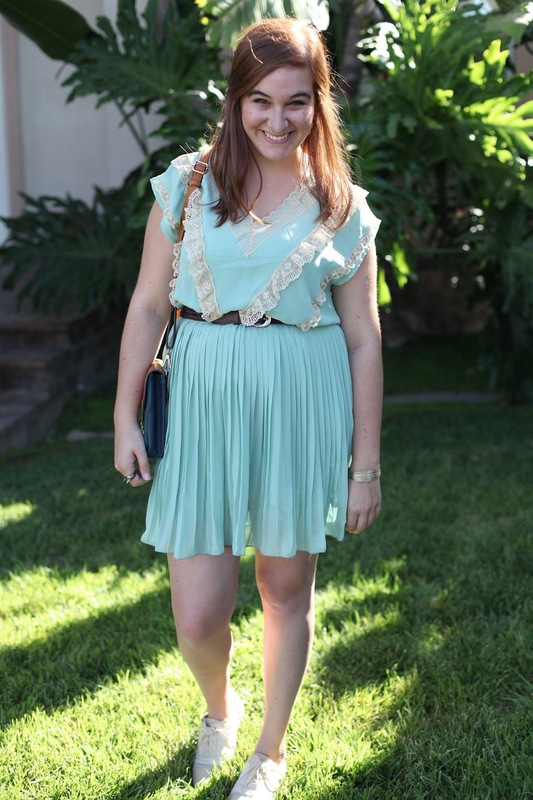 Gorgeous dress, nice blog, follow each other? hahaha uh i'd want to be buried in that too, IT'S SO PRETTY. 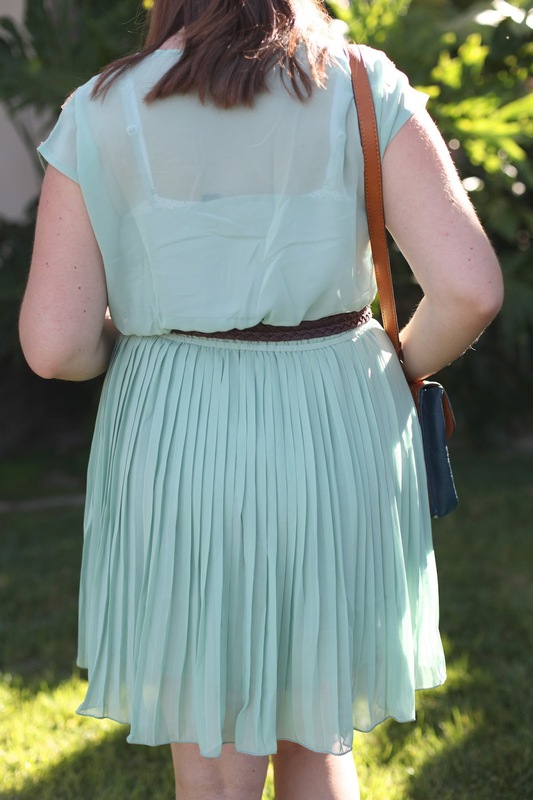 I love the pleats and that color is so stunning with your hair. 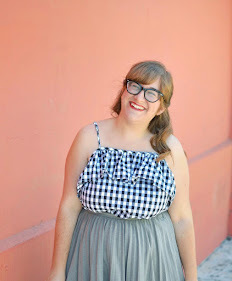 Love that you said your blog is a way to write love letters to all of your clothes! Too funny! This dress really is gorgeous though! 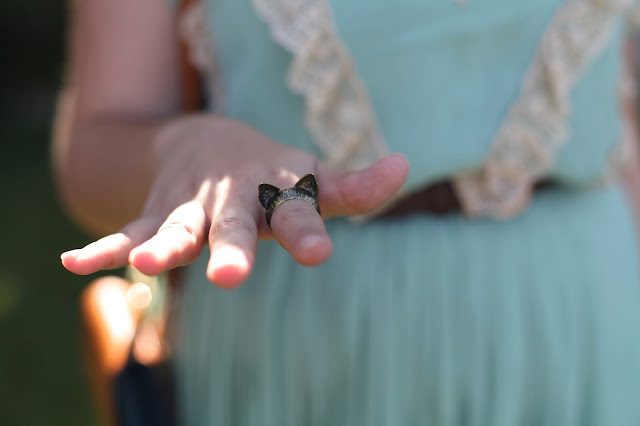 You have an amazing collection of beautiful pieces, it's really fun to see them all cataloged on your blog! This dress is amazing! 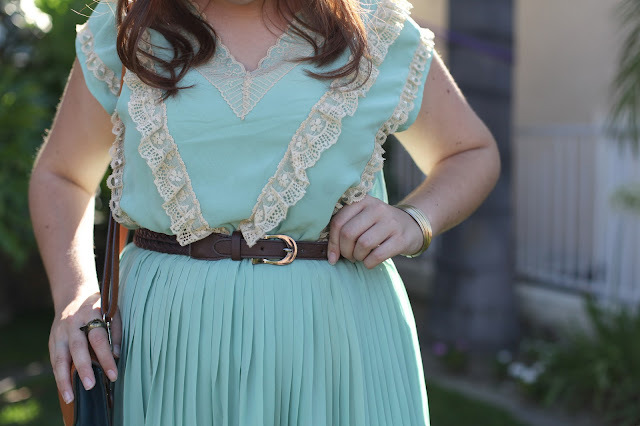 Pleated mint? Yes, please!